CanadaDrugsDirect.com handles all personal information in accordance with the terms set out in the Personal Information Protection and Electronic Documents Act of Canada and The Personal Health Information Act (PHIA) of Manitoba. CanadaDrugsDirect.com is responsible for all personal information under its control. CanadaDrugsDirect.com has appointed a Privacy Officer to oversee its compliance with its privacy obligations and to answer questions or concerns with respect to CanadaDrugsDirect.com's privacy practices. All CanadaDrugsDirect.com staff have been trained with respect to our privacy obligations. to follow-up with you and provide you with information from time to time concerning CanadaDrugsDirect.com's products and services. 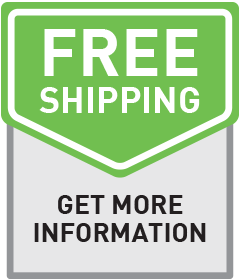 Please note that CanadaDrugsDirect.com will on occasion contract with certain third party suppliers or service providers, including licensed pharmacies in other countries for prescription fulfillment services as well as other specialized services. CanadaDrugsDirect.com may release your personal information to such third party contractors solely in order to fulfill your request for services or products. CanadaDrugsDirect.com will use contractual means to bind such third party contractors to its privacy obligations. CanadaDrugsDirect.com requires your consent for the collection, use and disclosure of your personal information, except where permitted or required by law. CanadaDrugsDirect.com will only collect that information that it actually requires in order to provide the services or products requested, and all information will be collected by fair and lawful means. CanadaDrugsDirect.com will not use or disclose your personal information for purposes other than for which it was collected, except with your consent or where required or permitted by law such as to comply with a subpoena, bankruptcy proceedings, or similar legal process when we believe in good faith that disclosure is necessary to protect our rights, protect your safety or the safety of others, investigate fraud, or respond to a government request. If CanadaDrugsDirect.com is involved in a merger, acquisition, or sale of all or a portion of its assets, you will be notified via email and/or a prominent notice on our Web site of any change in ownership or uses of your personal information, as well as any choices you may have regarding your personal information. We may also disclose your personal information to any other third party with your prior consent. CanadaDrugsDirect.com will store your personal information for a period of seven (7) years following your last request for health care services or products. Following this period, CanadaDrugsDirect.com shall destroy your personal information in a manner that safeguards your privacy. CanadaDrugsDirect.com uses the third party company ("OneSignal") to send coupons and push notifications. By allowing push notifications, your browsers cookie will be sent to this third party company. CanadaDrugsDirect.com is not responsible or liable for any content, advertising, products, or other materials on or available from such sites or resources. By allowing push notifications, CanadaDrugsDirect.com will NOT share, sell or send any personal information to third party companies including your patient profile, contact information, email address, phone number, name, username and password. CanadaDrugsDirect.com shall confirm with you that your personal information is accurate and up-to-date for the purpose for which it will be used. CanadaDrugsDirect.com encourages you to amend inaccuracies and make corrections to your personal information as often as is necessary to ensure that it is accurate. Where appropriate, we will provide notice to third parties who have received your personal information in order to ensure that the information provided is accurate. If your personal information changes, or if you no longer desire our service, you may correct, update, amend, delete/remove, ask to have it removed from a testimonial on our site or deactivate it by making the change on our member information page or by emailing our Customer Support at info@canadadrugsdirect.com or by contacting us by telephone or postal mail at the contact information listed below. CanadaDrugsDirect.com shall use appropriate safeguards to protect your personal information. Such safeguards shall include physical measures, such as locking filing cabinets; organizational safeguards whereby only those employees who need access to your personal information in order to carry out his or her employment duties shall be granted access; and technological safeguards including, at a minimum, firewalls and passwords. The security of your personal information is important to us. We follow generally accepted industry standards to protect the personal information submitted to us, both during transmission and once we receive it. No method of transmission over the Internet, or method of electronic storage, is 100% secure, however. Therefore, we cannot guarantee its absolute security. If you have any questions about security on our Web site, you can contact us at techsupport@canadadrugsdirect.com. CanadaDrugsDirect.com shall make its privacy practices and policies available to individuals upon request. CanadaDrugsDirect.com shall advise individuals, upon request, of the details concerning the existence, use and disclosure of his or her personal information, where required or permitted by law, and the individual shall be provided with access to his or her personal information. All requests for access to information shall be made in writing and shall provide sufficient detail to permit the Privacy Officer to determine the information being requested. The Privacy Officer shall review all such requests and respond within a period of thirty days, unless otherwise permitted by law. In addition, an individual shall be able to challenge the accuracy and completeness of his or her personal information and to have it amended as soon as reasonably possible where appropriate. CanadaDrugsDirect.com shall provide the corrected personal information to each organization to which the personal information was disclosed during the year before the date the correction was made. The records of CanadaDrugsDirect.com shall reflect that such a correction was made. An individual may challenge CanadaDrugsDirect.com's compliance with these privacy principles. Our Privacy Officer would be happy to discuss any questions or concerns that you may have. All complaints shall be investigated and CanadaDrugsDirect.com shall respond within a reasonable period. We CanadaDrugsDirect.com and our marketing partners, affiliates, or analytics or online customer support provider, use technologies such as cookies, beacons, tags, and scripts, to analyze trends, administer the website, tracking users' movements around the website, and to gather demographic information about our user base as a whole. We may receive reports based on the use of these technologies by these companies on an individual and aggregated basis. Data Retention: We will retain your information for as long as your account is active or as needed to provide you services. If you wish to cancel your account or request that we no longer use your information to provide you services contact us at info@canadadrugsdirect.com. We will retain and use your information as necessary to comply with our legal obligations, resolve disputes, and enforce our agreements. 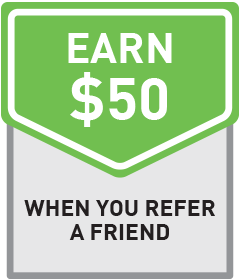 If you choose to use our referral service to tell a friend about our site, we will ask you for your friend's name and email address. We will automatically send your friend a one-time email inviting him or her to visit the site. CanadaDrugsDirect.com stores this information for the sole purpose of sending this one-time email [and tracking the success of our referral program]. Your friend may contact us at info@canadadrugsdirect.com to request that we remove this information from our database.